Virat Kohli jumps past Steve Smith to become the seventh Indian to become the No.1 Test batsman in the world. 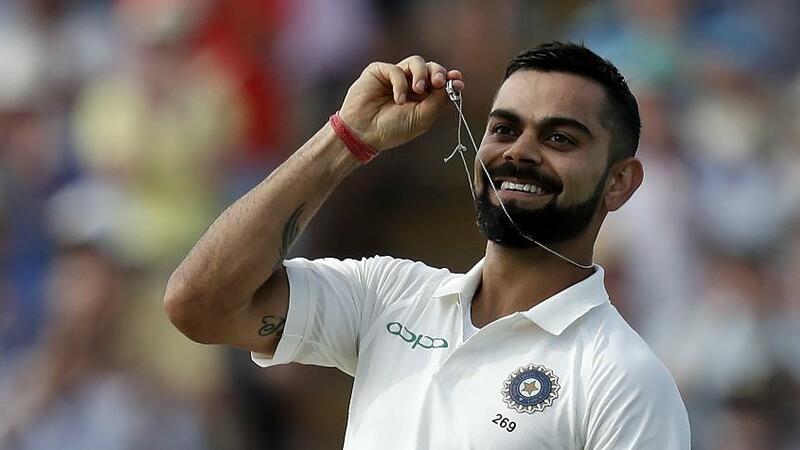 Virat Kohli has achieved another personal milestone by becoming the seventh India batsman and first since Sachin Tendulkar in June 2011, to top the MRF Tyres ICC Player Rankings for Test Batsmen, which were released on Sunday morning following the conclusion of the Edgbaston Test. Kohli scored 149 and 51 in India’s 31-run defeat and has gone up by 31 points, which have helped him to end Steve Smith’s 32-month reign as the top-ranked batsman and reach the top of the summit for the first time in his 67-Test career. Kohli now leads Smith (who had held the top spot since December 2015) by five points, but will have to maintain the form in the remaining four Tests to finish the series as the world’s highest-ranked batsman. Tendulkar had joined South Africa’s Jacques Kallis in number-one position in January 2011, but had dropped to second spot following the Jamaica Test in June 2011 after he had missed the three-Test series against the West Indies. Apart from Kohli and Tendulkar, Rahul Dravid, Gautam Gambhir, Sunil Gavaskar, Virender Sehwag and Dilip Vengsarkar are the other India batsmen to have achieved number-one rankings during their careers. However, at 934 points, Kohli has become India’s highest-ranked batsman, 14th overall, on the all-time tally of points. Kohli had entered the Edgbaston Test on 903 points, 13 points behind Gavaskar, and is now ahead of the ICC Cricket Hall of Famer by 18 points. If Kohli can deliver another strong performance in the second Test at Lord’s, then he can break into the top-10 by leapfrogging Matthew Hayden, Kallis and AB de Villiers, whose highest points tally was 935 each. Donald Bradman (961) and Steve Smith (947) are the two batsmen sitting on top of this exclusive list. Kohli, who powered India to the ICC U19 Cricket World Cup title in 2008 and then won the prestigious Sir Garfield Sobers Trophy for ICC Cricketer of the Year in 2017, is the 76th player to top the Test batting rankings. He is also the number-one ranked ODI batsman, but is ranked 12th in T20Is, 220 points behind number-one ranked Aaron Finch of Australia. 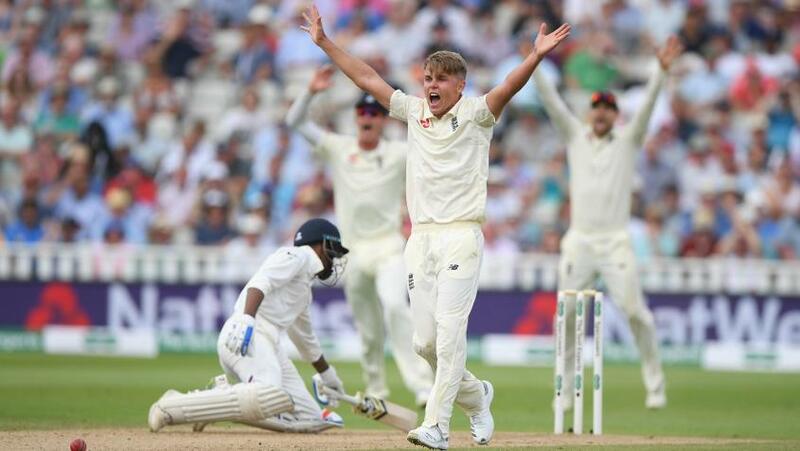 England’s 20-year-old Sam Curran is another fascinating story from what was a nerve-wracking 1000th England men’s Test. 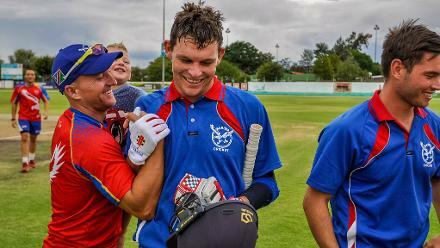 The left-handed all-rounder scored 24 and 63 with the bat, and claimed match figures of five for 92 with the ball, which not only earned him the player of the match award but significant gains in the latest rankings. In the batting table, Curran has jumped from 152nd to 72nd, the bowling table has seen him rise 49 places to 62nd, while in the all-rounders’ category, he now sits in 37th position after jumping 58 places. England’s wicketkeeper-batsman Jonny Bairstow is the other England player to improve his ranking. The Yorkshireman now shares 12th position with the West Indies’ Kraigg Brathwaite after moving up four places. The batsmen to lose ground after the Edgbaston Test include Alistair Cook 17th (down by four places), Lokesh Rahul 19th (down by one place), Ajinkya Rahane 22nd (down by three places), Murali Vijay and Shikhar Dhawan, who now share 25th position after slipping two and one spots, respectively, and Ben Stokes 33rd (down by five places). In the bowlers’ table, Stuart Broad and Mohammed Shami are the two bowlers inside the top-20 who have headed in the opposite direction, while James Anderson has retained his top position but his lead over Kagiso Rabada has been reduced to two points. Broad is now ranked 13th after falling one place, while Shami is in 19th spot after sliding two places. Stokes has compensated for his double failure with the bat by taking six wickets in the Test, including three of India’s last four wickets. For this performance, he has been rewarded with a rise of four places, which has put him in 27th position. India off-spinner Ravichandran Ashwin has gained 14 points following his four for 62 and three for 59, which means he now trails South Africa’s fourth-ranked Vernon Philander by just one point, while Ishant Sharma has collected 19 points to move within 13 points of 25th-ranked team-mate Bhuvneshwar Kumar. The Test player rankings will now be updated following the Lord’s Test, which begins on Thursday, 9 August. *indicates provisional rating; a batsman qualifies for a full rating after playing 40 Test innings; a bowler qualifies for a full rating when he reaches 100 Test wickets.